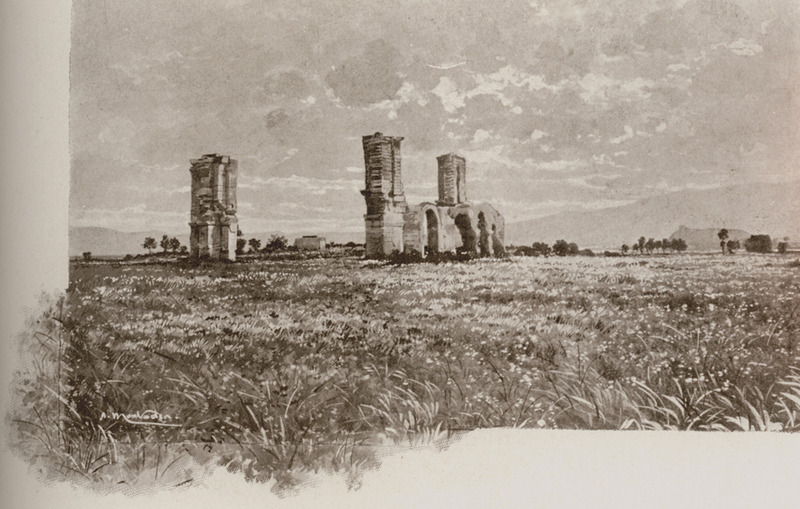 The battlefield of Philippoi with the ruins of the christian Basilicas. 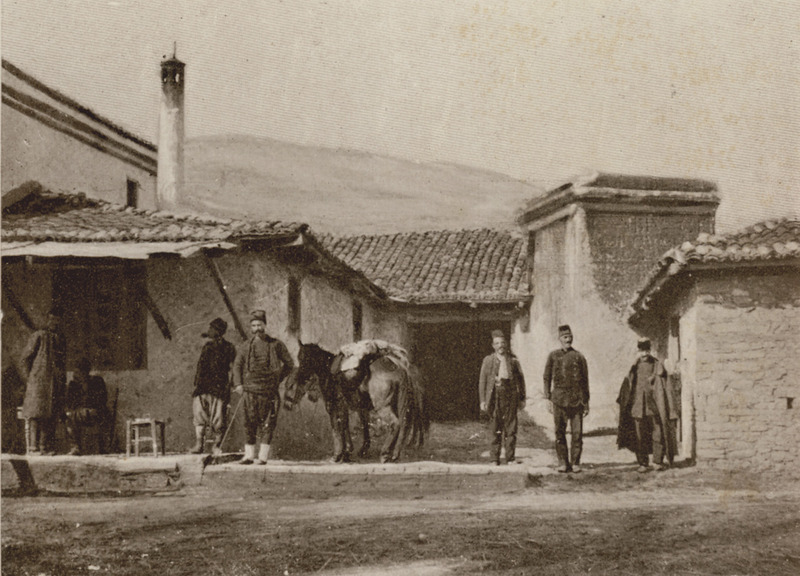 Stone-built road side inn (at the east of the village Krinides, near Philppoi). Arch from the archaeological site of Philippoi and details of the monument. Golden Gate in Thessaloniki and details of the monument. 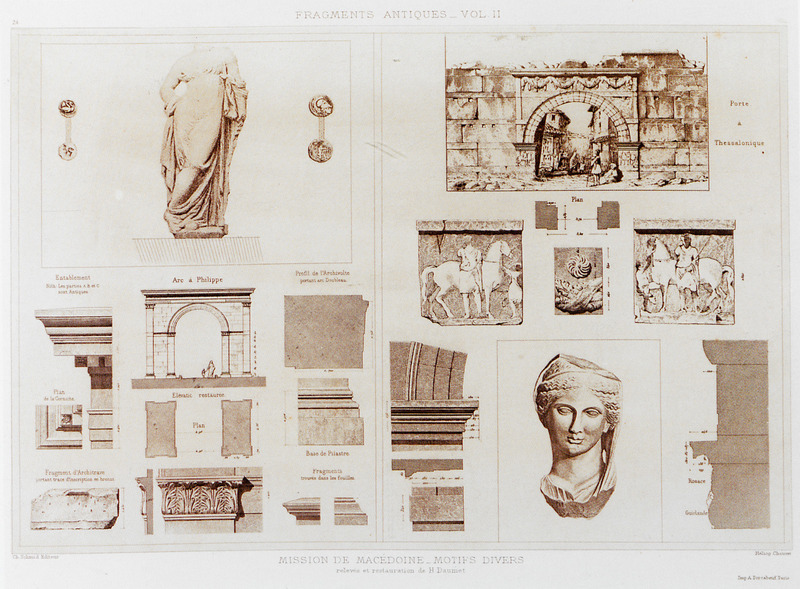 From: Héctor d'Espouy, Fragments d’architecture antique..., Paris, 1897-1925. 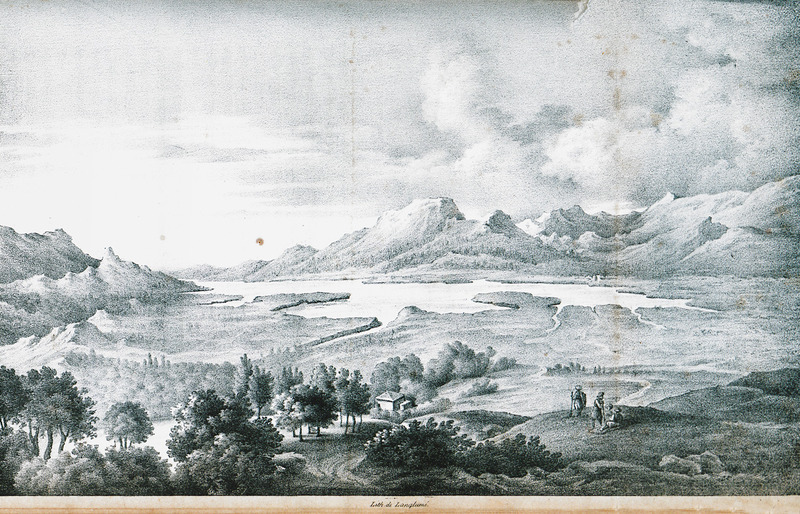 Landscape at Kavala, near Philippoi. 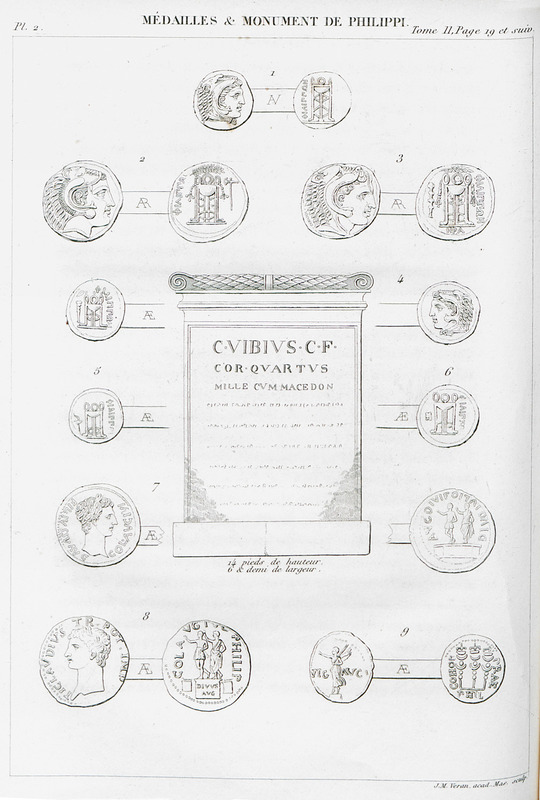 Ancient Greek (Macedonian) and Roman coins from Philippoi. Pedestal bearing Roman inscription from Philippoi. 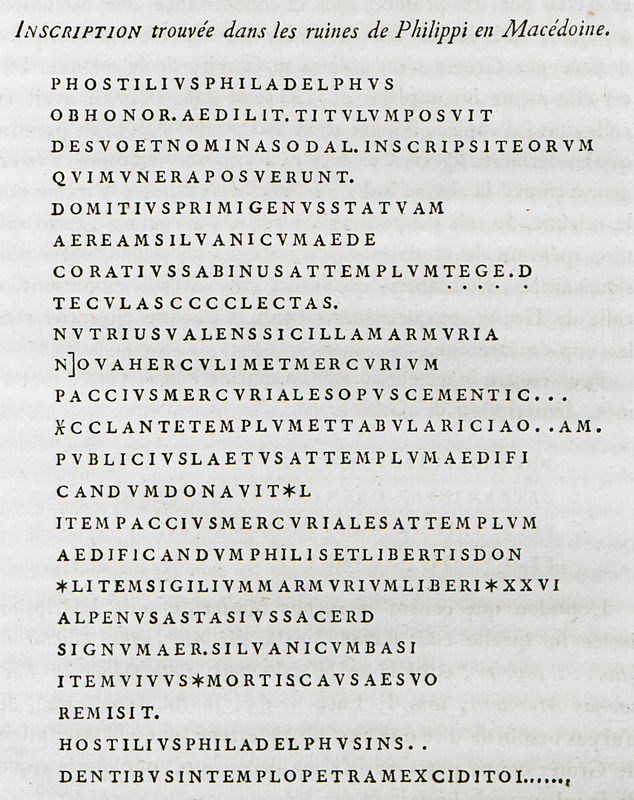 Ancient inscrption from Philippoi, Macedonia. 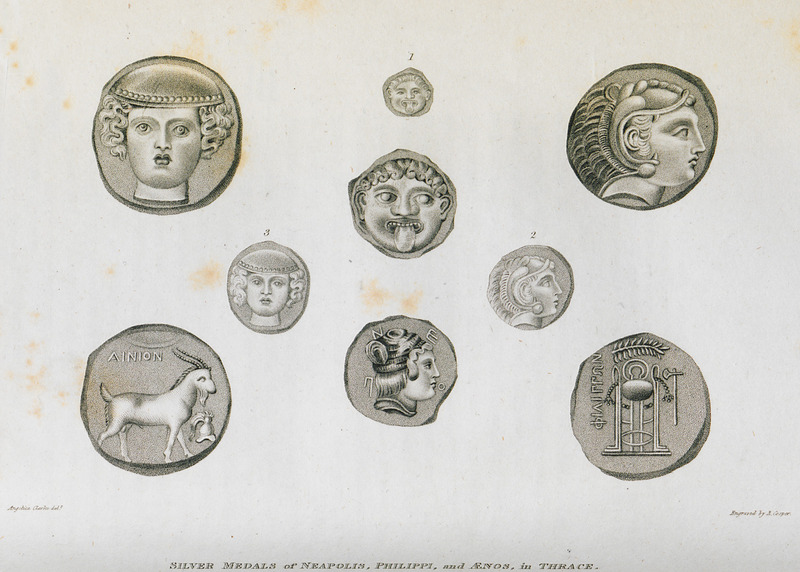 Silver coins of Macedonia and Thrace. 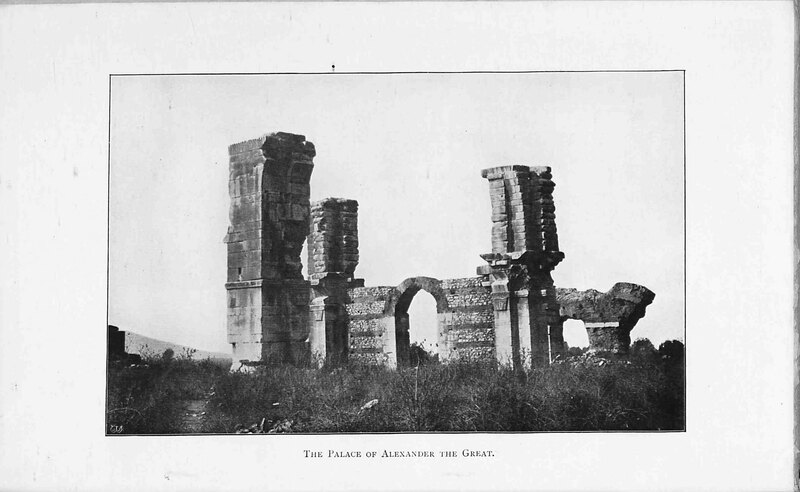 Remains of a basilica on the archaeological site of Philippoi.